If you’re planning an amazing trip away in 2019 and are in need of some inspiration we have you covered. From pounding the pavements of Morocco and island hopping in Thailand to seeing a different side of Dubai and the Middle East, your holiday goals are sure to be met. Just a sprinkle of imagination, a shot of expert know how and a dash of five-star luxury, and you have your perfect getaway itinerary right in front of you, with the help of one of our personal travel managers of course. We’ve compiled a selection of ideas, with bespoke itineraries able to be booked with ease. The only thing that’s left to do is clear your mind, imagine sitting on a sun lounger with a cocktail in hand, and let wanderlust take over. 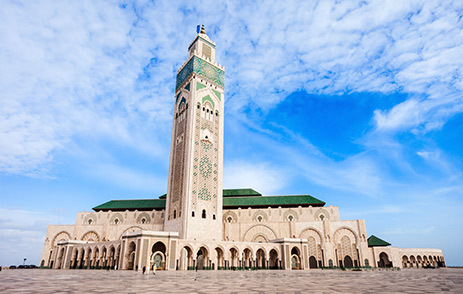 Having gained popularity thanks to the 1942 film of the same name starring Ingrid Bergman and Humphrey Bogart, Casablanca is a must for travellers on the lookout for romance. The reality is that the film was never filmed here, instead on a soundstage in Hollywood, however that doesn’t detract from this port city and everything it has to offer. Located in western Morocco, just one walk through the streets and you’ll soon realise that every building has a story to tell. With many Moorish-style and European art deco architecture found throughout the city, you’ll feel like you’ve stepped back in time. The main landmark you should head to is Mosque Hasan II. The third largest mosque in the world, the striking tower, ornate arches and intricate design can be seen from many points around the city, and guided tours are available for visitors from Saturday through to Thursday. For the true movie-esque experience, we recommend a meal at Rick’s Café. Inspired by the film itself – Humphrey Bogart owned the fictional nightclub of the same name in the blockbuster – the venue is an ode to the 1940s with a nightly jazz ensemble, gourmet cuisine and lavish décor including traditional Moroccan hanging lanterns from the ceiling. It’s the perfect choice for dinner especially for resting your feet after a long day of shopping in the famous souks. 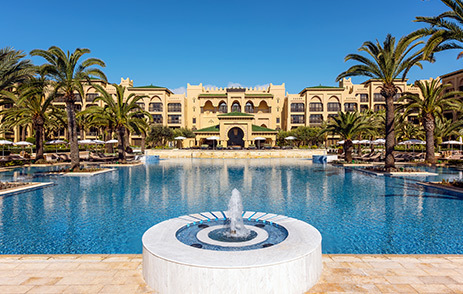 The 500 rooms and suites of Mazagan Beach & Golf Resort are the ideal base for a trip to Casablanca. With a seven-kilometre beach at your disposal as well as a casino, nightclub, spa, kids’ club and an 18-hole golf course, you have everything you could possibly need for a picture-perfect getaway. There are also 12 restaurants to work your way through that all serve a range of cuisine as well as two bars that act as a brilliant venue for post-dinner drinks. With Greece just a few hours away by plane, luxury couldn’t be any more closer. 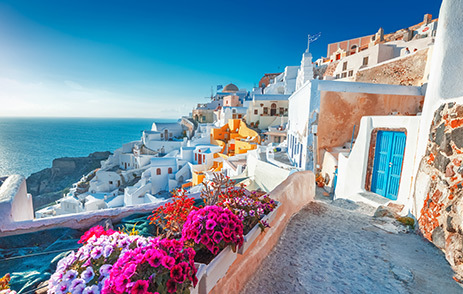 In recent years, there have been many destinations within this European jewel that have no doubt popped up on your social media feed from the striking white aesthetic of Santorini to the beach clubs of Mykonos. Head to the historical capital of Athens to soak up some culture, or alternatively head to the Emerald Isle of Corfu for some secluded sunshine. Another popular option when choosing where to go to in Greece is Crete. As well as being the birthplace of the Greek god Zeus, this idyllic island is home to fine-sand beaches, bustling cities and charming villages. If a holiday to you is getting up to date with ancient history, then a visit to Heraklion is sure to satisfy. Here, the archaeological site of the Palace of Knossos should be your first pitstop before heading to the 16th-century Koules fortress and the Heraklion Archaeological Museum. Alternatively, Elounda is brilliant for a seaside break. Once a picturesque fishing village, here you can find many small beaches that make for a great family day in the sun. The island of Spinalonga is easily reachable here, too. Steeped in mystery thanks to being abandoned 40 years ago, it’s now a tourist hotspot with tours occurring regularly throughout the day. Schedule in a few coffee breaks at the many cafés and restaurants, many of which are traditionally Mediterranean, and you’ll wonder why you’ve never been here before. 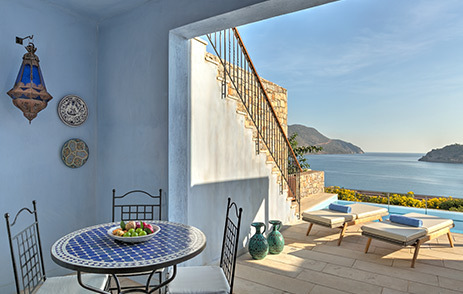 Holidaymakers in the need of some relaxation have hit the jackpot at Blue Palace, A Luxury Collection Resort and Spa, Crete. Designed to incorporate the Mediterranean landscape, the accommodation is luxe and elegant yet retains a cosy and inviting feel. Those staying in Superior Bungalows and larger suites also have the added benefit of a private swimming pool to dive into and Greek delicacies upon arrival. As well as five restaurants, two bars and a beach club to indulge in, you can also experience a new level of TLC at the on-site spa. 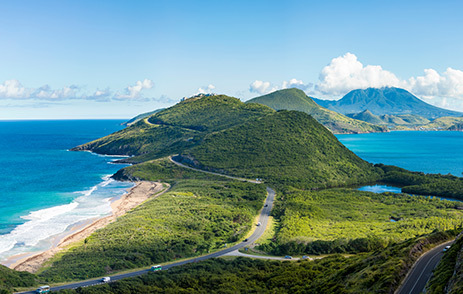 While the mere mention of the Caribbean may conjure up images of the Bahamas, Barbados and Antigua, St. Kitts and Nevis is something of an undiscovered jewel. Known for its picturesque beaches, sugar plantations and the dormant Mount Liamiuga volcano, we predict you’ll feel a world away from the stresses of everyday life as soon as the plane touches the tarmac. Whether you want to spend your days venturing through the ruins of Brimstone Hill Fortress National Park or marvelling at the hawksbill, green and leatherback turtles of Lovers Beach, an island paradise awaits all who decide to go. For the ultimate Caribbean dream trip, why not island hop ‘til your heart’s content? From spending a fortnight making your way through the beaches of Barbados and the Grenadines, to seeing the sights of Cuba for seven nights before enjoying a week of sunbathing in St. Lucia, there are plenty of bespoke itineraries that we can put together to guarantee you have the getaway of a lifetime. 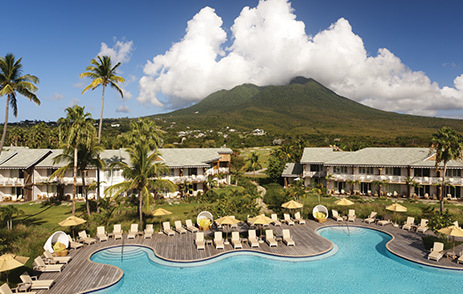 Surrounded by a pristine beach and gorgeous gardens, Four Seasons Resort Nevis is a nirvana that’s just waiting to be discovered. Five dining options and lavish accommodation are just the tip of the iceberg. There’re also impressive sport facilities such as tennis courts and a golf course. Start the day with a workout at the on-site fitness centre, and finish off the evening drinking cocktails at the bar… you deserve it. Do you fancy a holiday off the beaten track? Then definitely give Botswana a look in. For many, a safari is on their travel bucket list and Botswana certainly delivers with plains, national parks and reserves to explore. The Okavango Delta is one of the most popular safari destinations in Botswana. 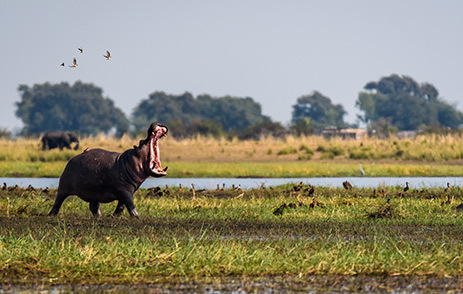 Found in the north of the country, the sprawling grassy plains and swampy lakes are home to a wide variety of animals including hippos, elephants, crocodiles, lions, leopards, giraffes and rhinos. The Moremi Game Reserve can be found in the east of the Okavango Delta and is highly regarded as one of the best game reserves in Africa. What’s more, there are plenty of five-star hotels to choose from so you can embark on a safari the luxury way. 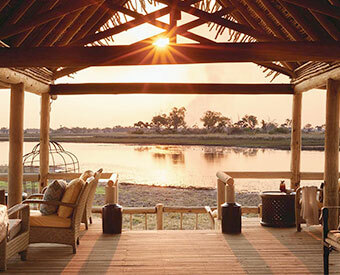 If the fantastic location in Botswana doesn’t sell it to you, then the boutique tented accommodation definitely will. Set on its own private island, there are just 12 rooms to choose from, that all boast stunning views of Africa. Each option also comes with a private plunge pool, an en-suite bathroom and an oversized bed… forget camping, this is glamping! The hotel also has its very own restaurant that serves local dishes. To see the Okavango Delta from a whole new perspective, a 35-minute helicopter safari is a must, and something that the hotel offers. 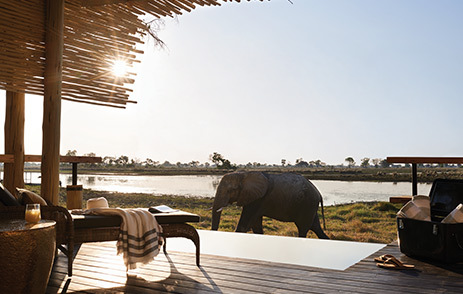 Belmond have two other lodges in Botswana, Belmond Khwai River Lodge and Belmond Savute Elephant Lodge, so if you’re after a real adventure through Africa, why not book a stay in all three? With Europe so close to the United Kingdom, a short weekend away can easily turn into a dream trip, especially with Winged Boots. 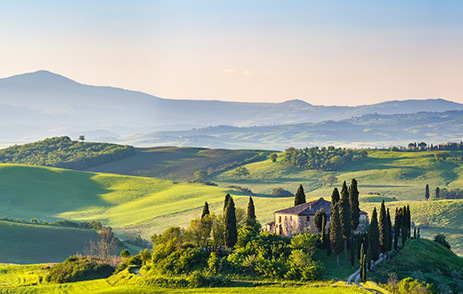 One such destination that guarantees an unforgettable holiday is Tuscany. One of Italy’s most popular regions, you can head to the vineyards or the streets of Florence and Pisa for daytrips depending on your mood. Foodies are sure to be in their element here. Gourmet cuisine can be found in many of the city restaurants and day-long wine tours are a staple, too. Tuscany is also a brilliant destination for a ski trip. Come Winter, the slopes and resort of Abetone are awash with avid skiers that want to make their way along 50-kilometres of the white stuff. Abetone can be found just 30-minutes by car from Florence, so the pistes are closer than you think! Finish off your days with a dip in the hot springs, and you have a dream trip to remember. 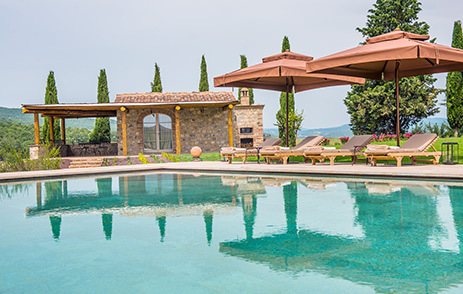 Celebrate Italian heritage with a stay at Rosewood Castiglion del Bosco in Montalcino. One of Tuscany’s undiscovered gems, this working wine estate promises a lot more than a bottle of red at the end of the night. Interiors in all of the rooms, suites and 11 luxury villas are spacious and are decorated to reflect the countryside location. There’s also an on-site spa for times when you really want to relax, and budding Tiger Woods’ will adore the 18-hole private golf course. 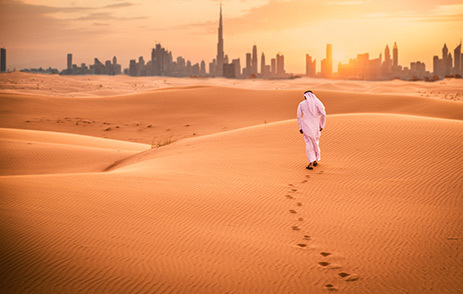 The Middle East is one of the most popular destinations that we book… and for good reason! With Dubai having so much to see and do, all with a luxury touch of course, every traveller is catered for. Whether you want to devour a gold-leaf afternoon tea, jet down the slides of Wild Wadi Waterpark or enjoy the beach club of the newly opened Caesars Resort Bluewaters Dubai, you can do it all with ease. However, why not experience even more of the Middle East? If you’re staying in Jumeirah Beach, an extra few nights in the Dubai desert at Al Maha, a Luxury Collection Desert Resort & Spa, will have you stay in a traditional Middle Eastern camp albeit with all the bells and whistles of a luxury hotel. With nothing but the sandy dunes to relish outside the windows, and the odd camel walking past, it’s hard to believe that you’re just a 30-minute drive away to the big city. 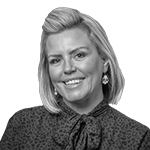 Alternatively, emirates such as Abu Dhabi, Ras Al Khaimah and the neighbouring country of Oman in addition to a few nights in Dubai make for a fantastic dream trip. Yas Island in Abu Dhabi is fantastic for families. Home to Warner Bros. Studios, Ferrari World and Yas Marina Circuit, you can’t go wrong. Ras Al Khaimah is brilliant for beach worshippers that want a slice of sun, and there’s also a fair dose of culture, too. The Dhayah Fort promises to add a wonderful hike through this phenomenal emirate, and the National Museum of Ras Al Khaimah houses regional historical pieces and archaeological exhibits. Similar history can also be found in Oman. This Middle Eastern jewel is brilliant is sometimes described as what the continent is ‘really’ like, traditionally speaking. Considered by many as the Middle East’s best kept secret, we lifted the lid on Oman in Volume Two of our brochure. To read all about it, click here. Feel like you’re in a James Bond film when staying at Waldorf Astoria Ras Al Khaimah. 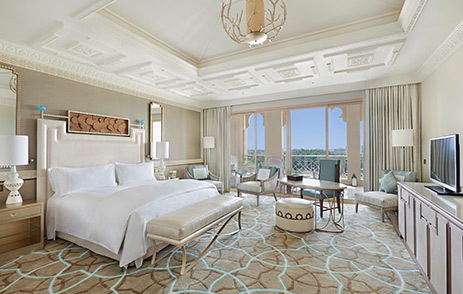 The rooms are spacious and all come with fantastic balconies that look out onto the Arabian Gulf, magnificent marble bathrooms and comfortable king-size beds. Nine restaurants and bars mean you won’t go hungry either, and there’s also two championship golf courses nearby. 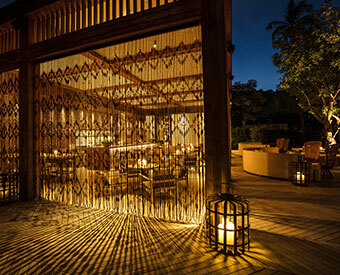 Often thought of as a place that only gap-year students come to find themselves, Thailand is fast becoming a top place to head to for the luxury traveller. 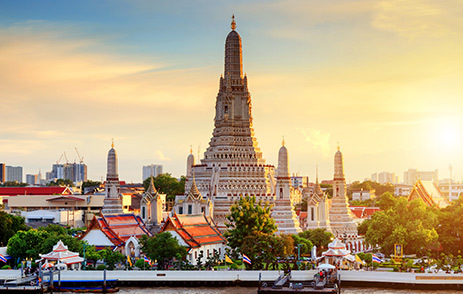 To make it a dream trip, we highly recommend venturing your way through destinations such as Bangkok and Koh Samui as well as Chiang Mai, Chiang Rai and Krabi. Along the way you see some glorious stretches of sand, magnificent temples and even elephant sanctuaries as well as tucking in to some fantastic fare. Each destination offers something different, new and exciting. Phuket is both the largest and the most popular island. There’s more than 30 white-sand beaches and The Phi Phi Islands are just two-hours by ferry and ensure a phenomenal day trip. For the city life, swing by Bangkok with its night markets, five-star hotels and bustling party scene. Alternatively, families are sure to be in their element when travelling through Koh Samui. Temples and snorkelling mixed with theme parks, golf courses and beach clubs… there really is something for everyone. Discover more about Thailand in Volume Two of our brochure here. 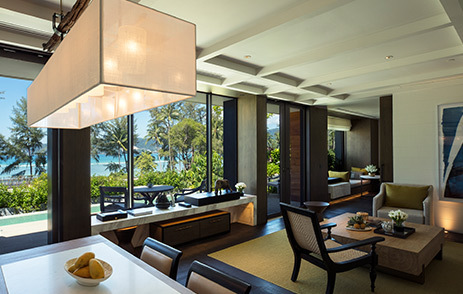 With a prime spot on Emerald Bay that overlooks the Andaman Sea, Rosewood Phuket is a true haven when in Thailand. Redefining elegance, here you have luxe accommodation that caters to both couples and families, and there’s no shortage of things to do. Whether you want to spend an hour or two in the spa, pump some iron at the gym or catch a tan on the private beach, boredom simply isn’t an option. Oh, and there’s also four restaurants to treat your taste buds to. If any of these dream trips have captured your attention simply enquire here or call one of our personal travel managers on 0203 816 0985 now.